Today, I visited Mt. Adatara in Nihonmatsu City during a short break between rainy days. 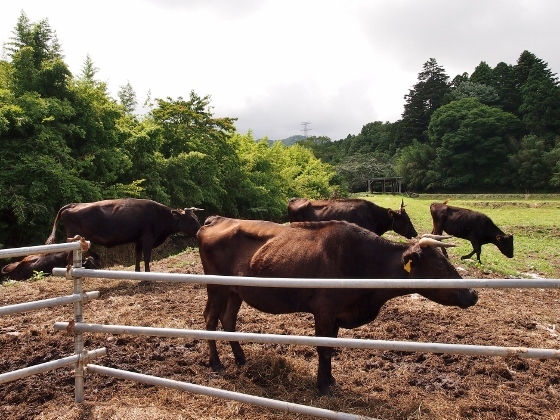 On the way, there was a beautiful cattle ranch on the lower slope of the mountain as shown above. 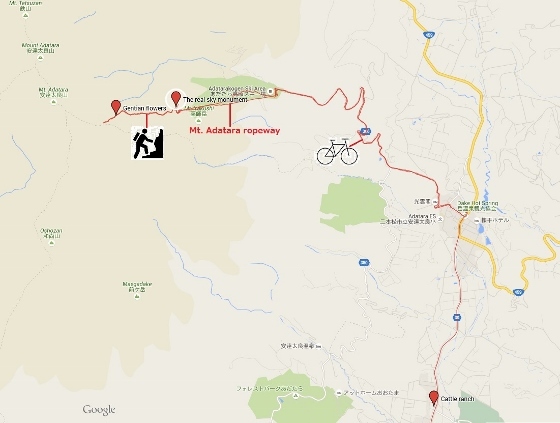 I pedaled my bike to Okudake (950m) from which I took a long ropeway ride up to the height of 1350m. It was not a very clear day but here (above) are some views up there with the peak of Mt. Adatara in the back. 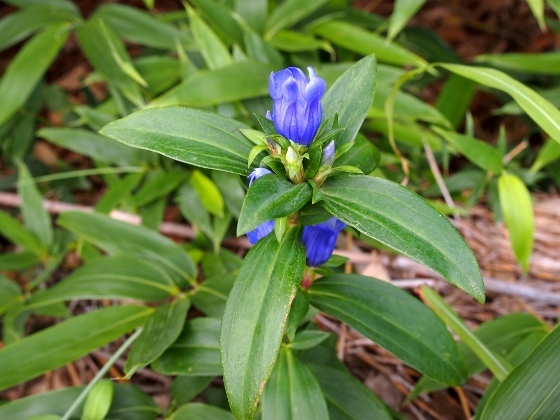 There were not so many kinds of flowers on Mt. Adatara in this time of the year. 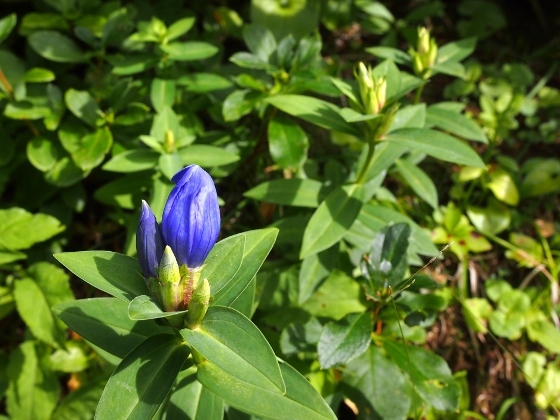 But this time I expected to see some early gentians starting to bloom. 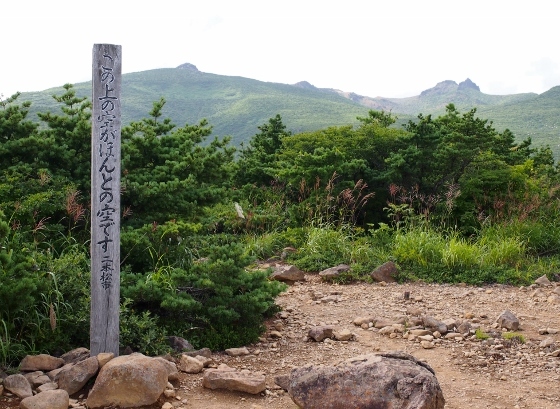 I walked halfway towards the peak of the mountain and there they were as shown in the pictures above. There were many new buds to bloom in the coming days or weeks. 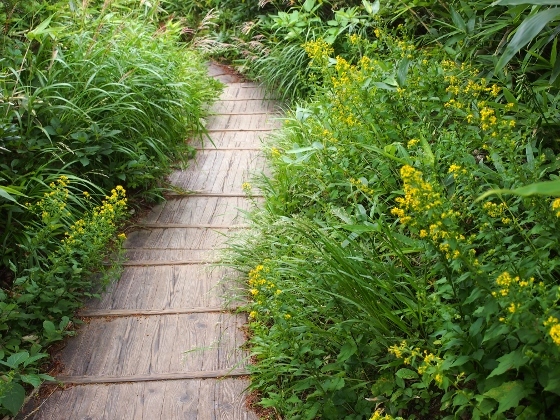 Meanwhile, yellow flowers of Solidago virgaurea were in full bloom along both sides of the mountain trail as shown above. You can play back the route and altitude on the map below. Today I visited Tomioka Town, Fukushima. All the town area is still in the evacuation zone and bike is not allowed in a large part of it. (Only car traffic is allowed.) This time, a member of Omotenashi Guide Fukushima picked me up into the town and I had a chance to visit some places in the town. 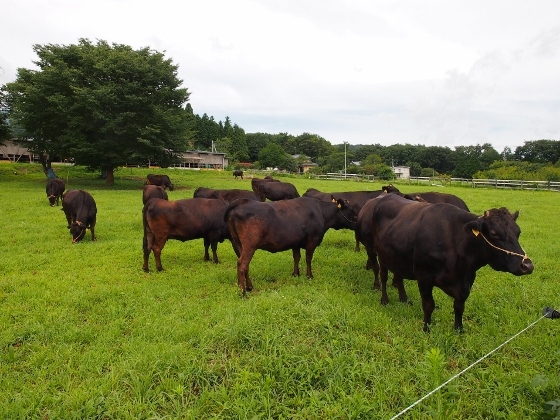 First, I visited a beautiful ranch with many cattle and other animals. 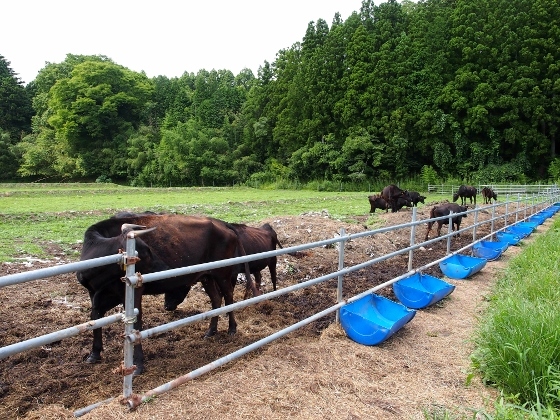 A resident of the town had kept feeding the animals since the earthquake and nuclear accident four years ago. 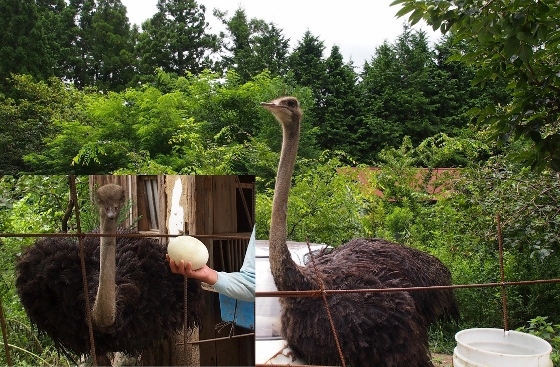 Above picture shows an ostrich and its egg just laid yesterday. Pictures above show cattle in the ranch. It was beautiful scenery of the countryside. On the other hand, still there was a barricade for no entry into the difficult-to-return zone as shown above. 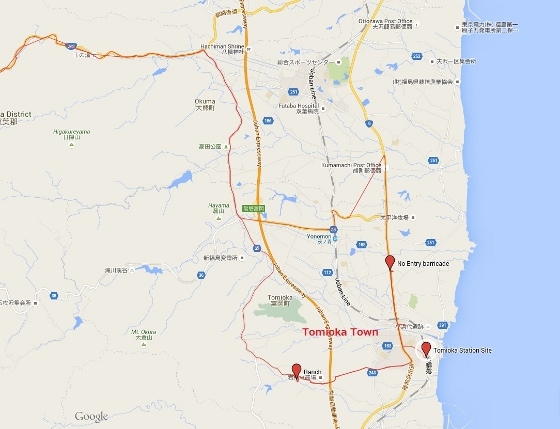 JR Tomioka Station had been severely hit by the tsunami and is being planned to be relocated to inner area. 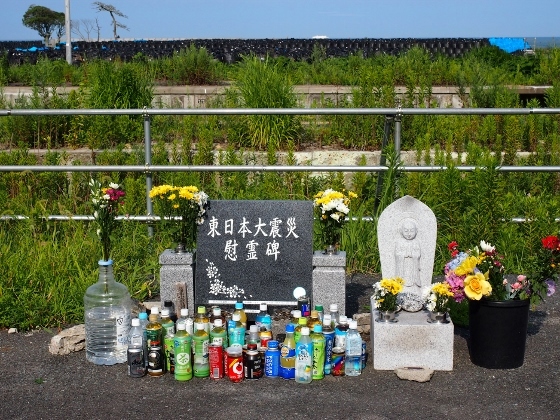 There is a memorial on the old Tomioka Station site as shown above. 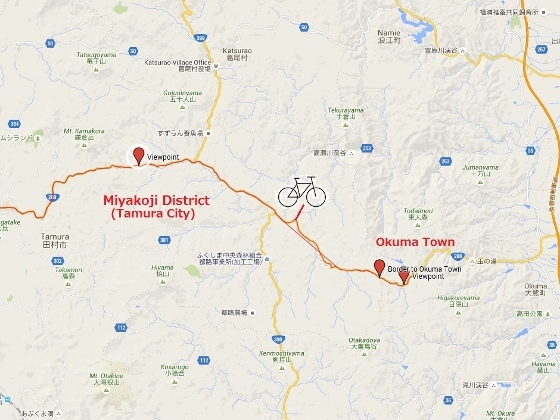 Today I visited Miyakoji District of Tamura City and Okuma Town. Both of them have once suffered as evacuation zone, however, they are recovering steadily. 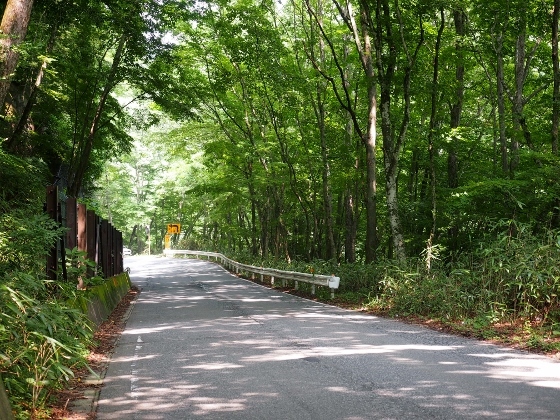 On the way to Okuma Town along the National Route 288 (Miyakoji Highway), there spreads Miyakoji District of Tamura City. This district was ordered evacuation before, but it was lifted last April (2014). Above photo shows a field in Miyakoji District. I could see a beautiful rice field in the back and some vegetables grown in front. 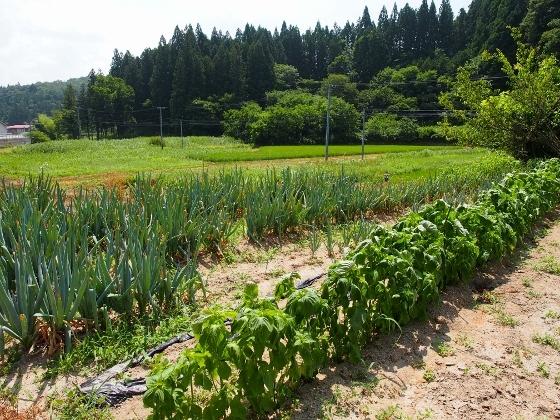 I found Egoma plant grown in the foreground which is a specialty of Tamura City. This is now popular across Japan for its extraordinary effect on healthy life. Many farmers here and there grow this plant in the city. Above photo shows Mt. 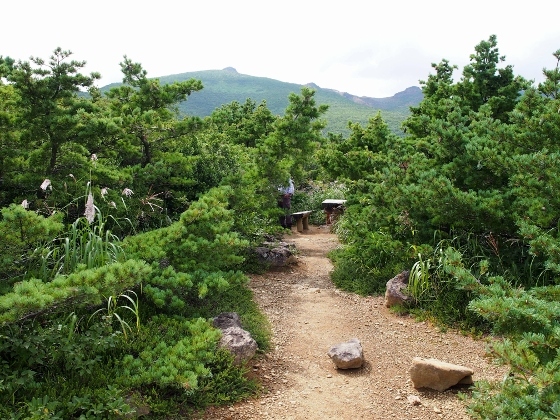 Kamakuradake (967m) view from Miyakoji District. 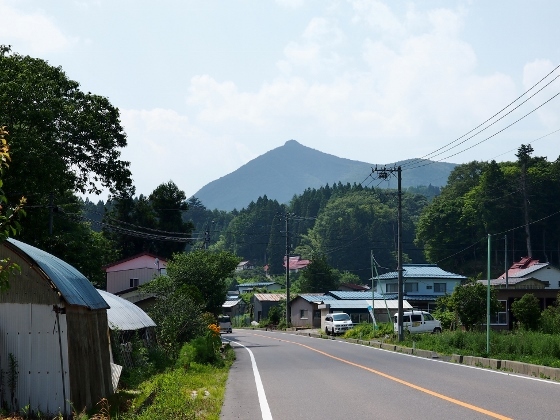 This is an iconic mountain in the northern Tamura City. Miyakoji District spreads nearly 20km along the 288 route and after that I finally arrived at the entrance to Okuma Town as shown above. Okuma Town has Fukushima Daiichi Nuclear Power Plant at the eastern Pacific shore. And all the area of the town is still under evacuation. 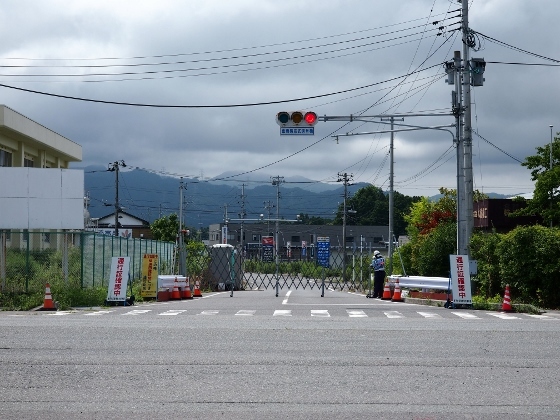 However, this western part adjacent to Miyakoji District is "Evacuation order release preparation area" and anyone can enter the area without special permission. 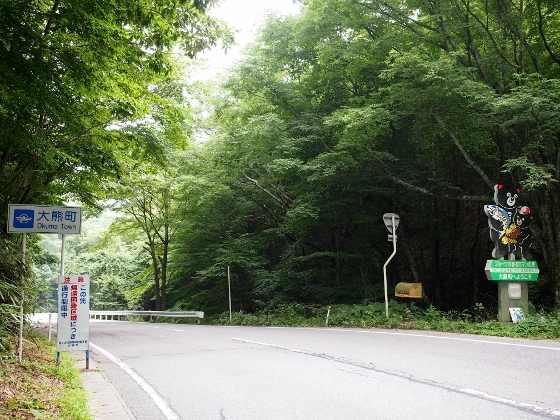 Above photo shows the beautiful green woods in Okuma Town along the National Route 288. I met many trucks and workers for recovery efforts.